An indispensable aid for fast inspection of drilled holes in printed circuit boards. CBLS shows the inside part of the hole with a viewing angle of a full 360° with 8X magnification. This allows potential drilling faults (spiral formation, roughness or traces of burning) to be detected immediately. 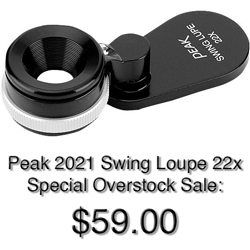 These loupes facilitate inspection for correct coating, smoothness and solder flow. The low costs and easy operation make work in the production sector significantly easier. 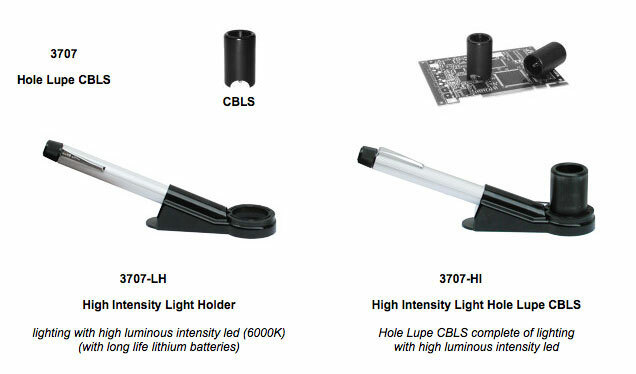 CBLS can make the purchase of expensive microscopes with fish-eye systems superfluous. The three-legged design allows secure positioning on printed circuit boards with solder, contacts and printed conductors.